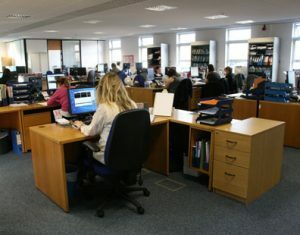 The Customer Services Department handles trade and direct orders and is divided into teams, allowing staff to become experts in the needs of their speciality, whether that is the UK book trade, overseas trade sales, direct sales to individuals, schools or other institutions, periodical subscriptions, or a particular niche such as Christian publishing. Booksellers can take advantage of our FREE online customer enquiry and ordering service via PubEasy.com. You can check titles, prices and availability, place orders and check the status of your orders and backorders 7 days a week. For further information, visit the PubEasy web site: pubeasy.com or contact PubEasy at Marston by email: pubeasy.enquiry@marston.co.uk. The Trade Department are responsible for all orders and enquiries received from retail customers holding a credit account with Marston. Committed to providing a fast and efficient service, our staff are trained to deal with customer requirements world-wide. To increase the efficiency of our service, if you know your account number and the ISBN of the title you wish to order, please have these ready when you call. Trade returns are accepted only when received in accordance with the Marston Returns Policy. All returns must be pre-authorised and received back at our warehouse in re-saleable condition. The original invoice should be no earlier than 3 months and no greater than 12 months old. Click here to see a full copy of our Returns Policy. Credit application forms are available on request.